How fire has shaped our planet, our history and our imaginations. Burning buildings and risky rescues often capture our attention, but how often do we consider the importance of fire in our lives? Whether it's the rumble of a furnace in the morning or the backyard barbecue ritual, we still use fire for the same reasons as the earliest humans. In fact, fire is so important that it's incorporated into almost every moment of our lives. In seven compelling chapters, Burn explores the role of fire in such diverse areas as civilization, religious belief, industry, communications, emotions, war and nature. To many cultures -- from Egyptians who worshipped the immortality of a phoenix born out of flames, to seventh-century Koreans whose system of huge signal fires helped protect their border -- fire has been both awe-inspiring and critical for survival. Through the ages fire has been both friend and foe, but its crucial role has never been doubted. 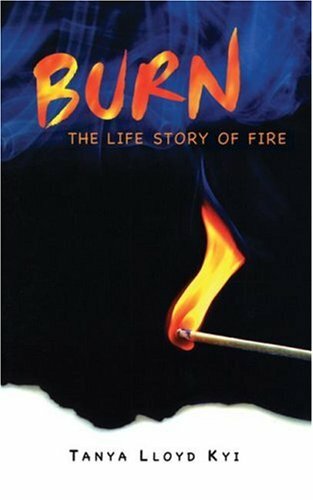 Burn uncovers the dynamic and fascinating history of one of civilization's most essential instruments, religion's most enduring icons, and nature's mightiest forces.